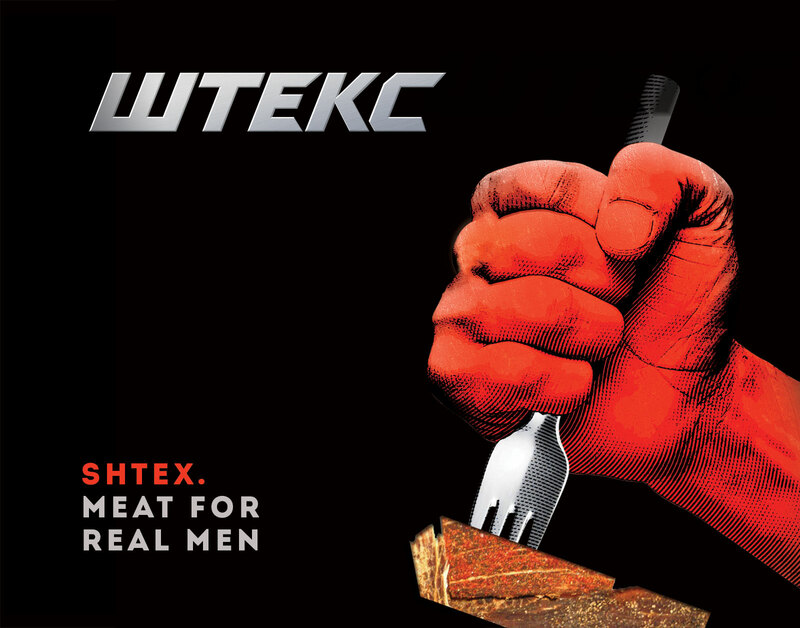 Shtex is a concept of meats snacks with ultimate positioning: meat for real men. Shtex is for those who need energy and nutrition for their active lifestyle, and who also opt for proper and healthy food. 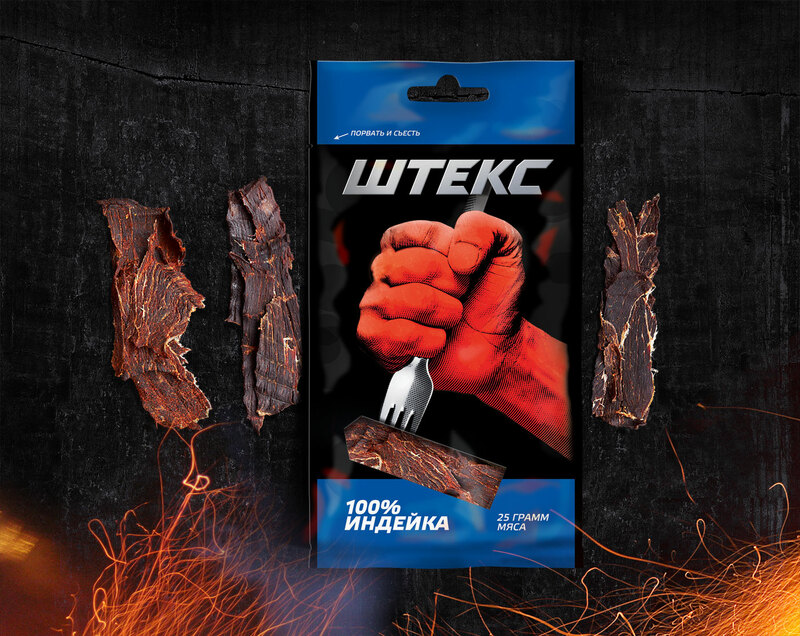 Shtex is actually jerky, real meat product, thus the brand name comes from “steak”. And the design expresses masculine super power and men’s aspiration for meat (in ironic way, of course). Research, strategy and positioning, naming, brand identity and design of packaging. 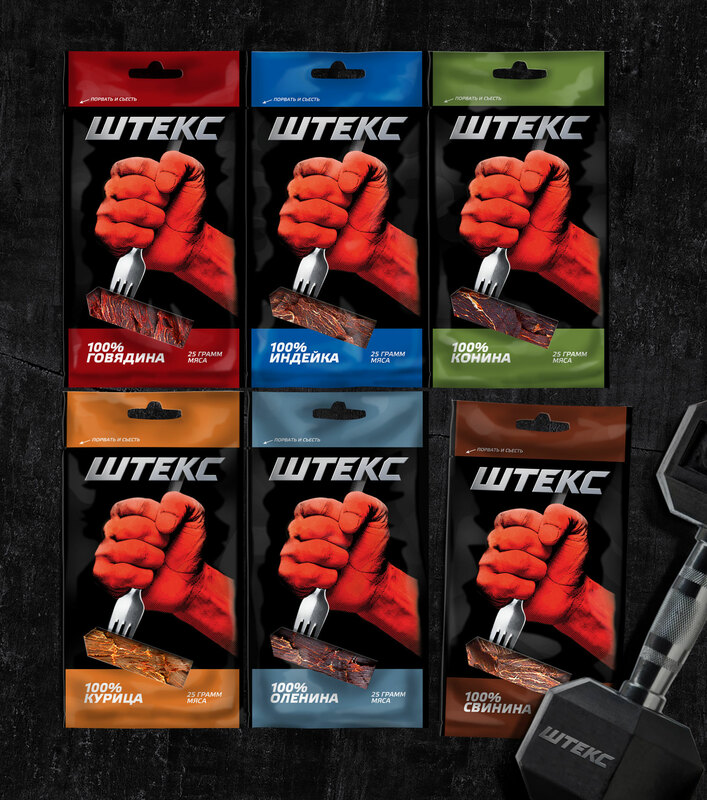 The 6 flavors: beef, turkey, horse meat, chicken, venison, and pork.